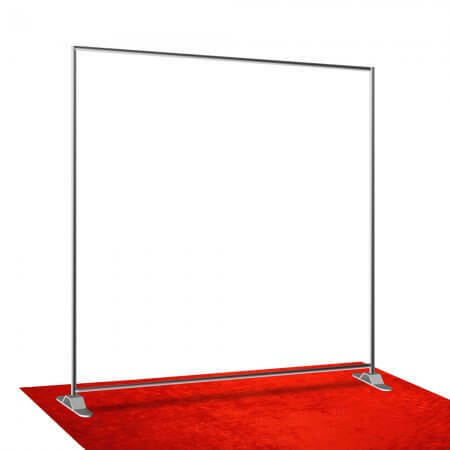 8′ x 8′ heavy-duty adjustable stand for displaying banners that have a pole pocket top and bottom. 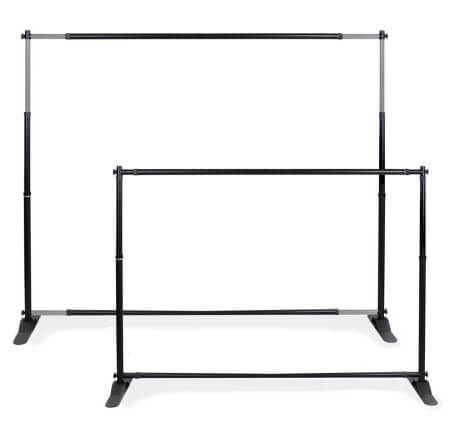 The 8′ x 8′ stand is adjustable from 53″ – 96″ width and 36″ – 96″ height. 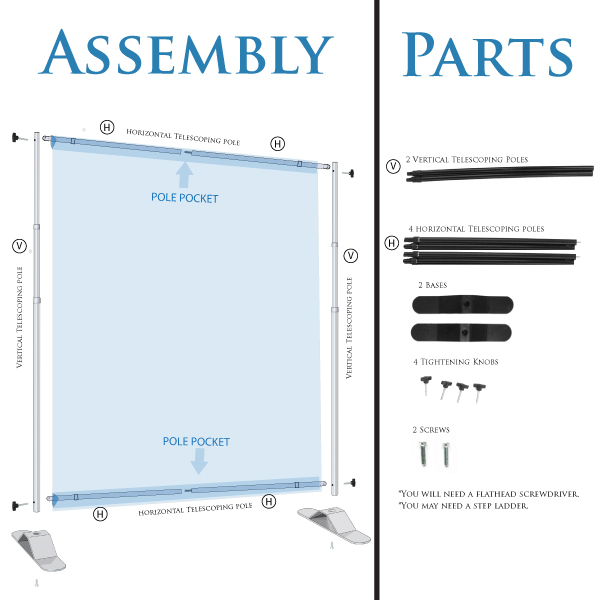 They come with easy-to-follow instructions and illustrations. 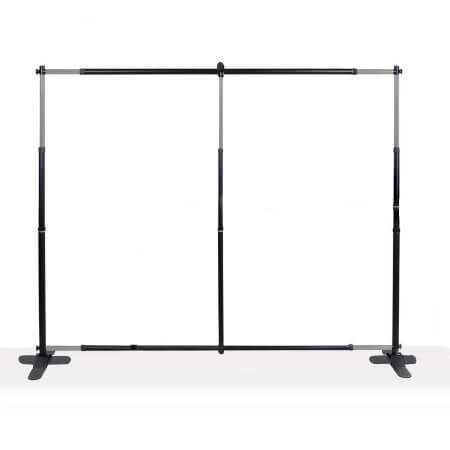 These stands have “telescoping poles” meaning that the poles extend out, much like a telescope, and contract back into themselves. 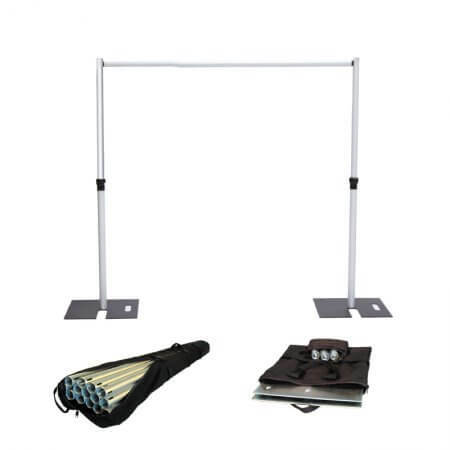 All of the poles fit in a carrying case (a sturdy bag that is about 40″ wide). This stand offers a heavy-duty design that is stronger and more durable than other telescoping stands out there. 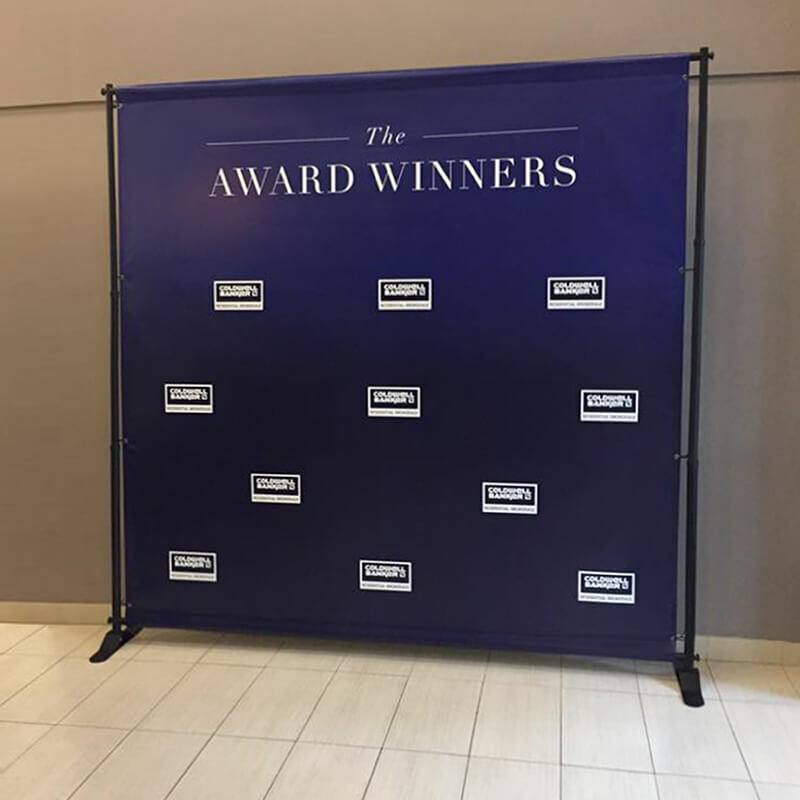 This bag is free with purchase of stand. 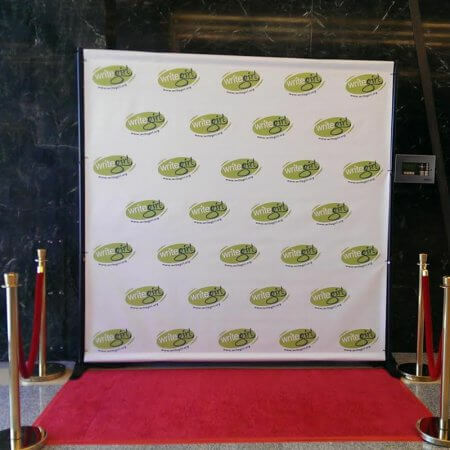 Pipe and base (also known as Pipe and Drape) stands are the best solution for larger banners. 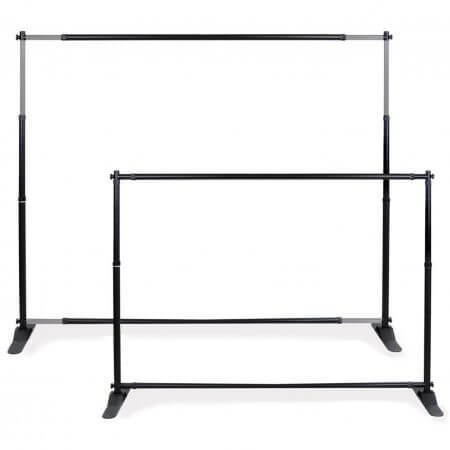 They are adjustable, heavy duty, and easy to set up. 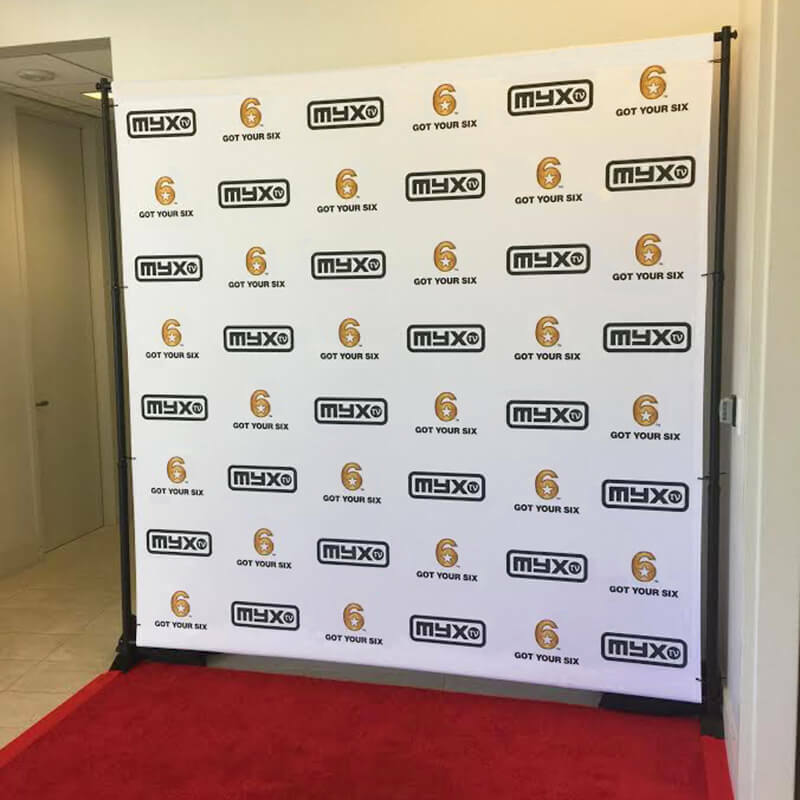 If you are located in the Los Angeles area, you can purchase this 8' tall x 8' wide banner and RENT the stand and carpet! 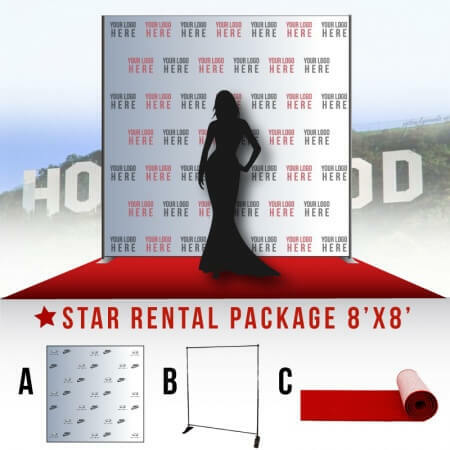 Receive 5% off when you rent this Star package! 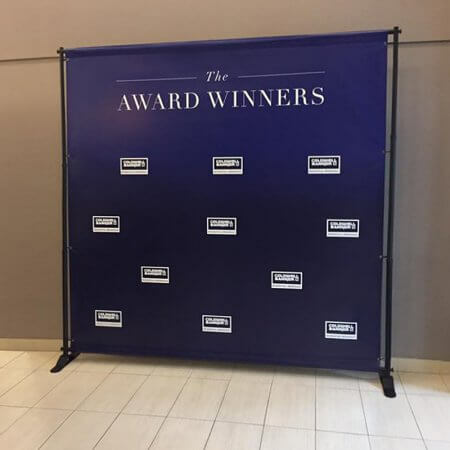 8′ x 12′ adjustable stand for displaying banners that have a pole pocket top and bottom. 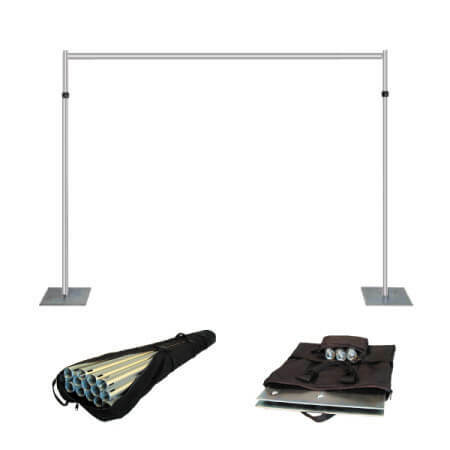 Bag included with purchase. 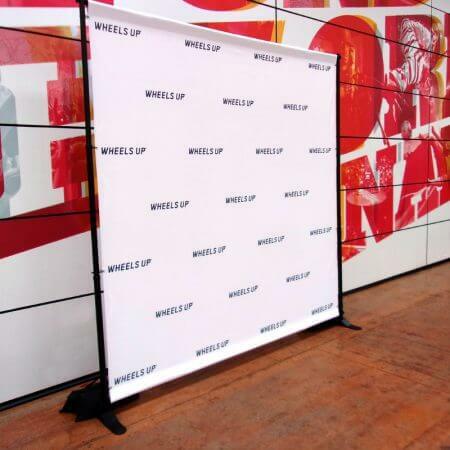 8' x 4' adjustable stand for displaying smaller banners that have a pole pocket top and bottom. 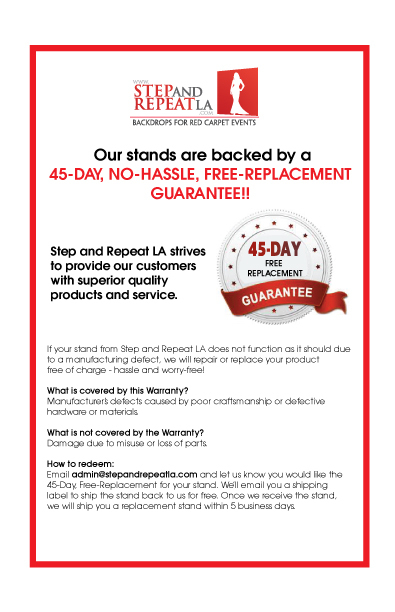 Bag included with purchase. 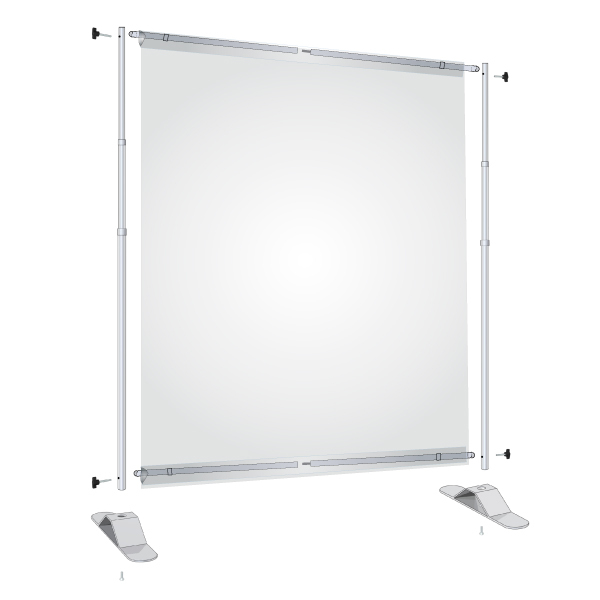 8′ x 10′ heavy-duty adjustable stand for displaying banners that have a pole pocket top and bottom. The 8' x 10' stand is adjustable from 53" - 120" width and 36" - 120" height. Bag included with purchase. 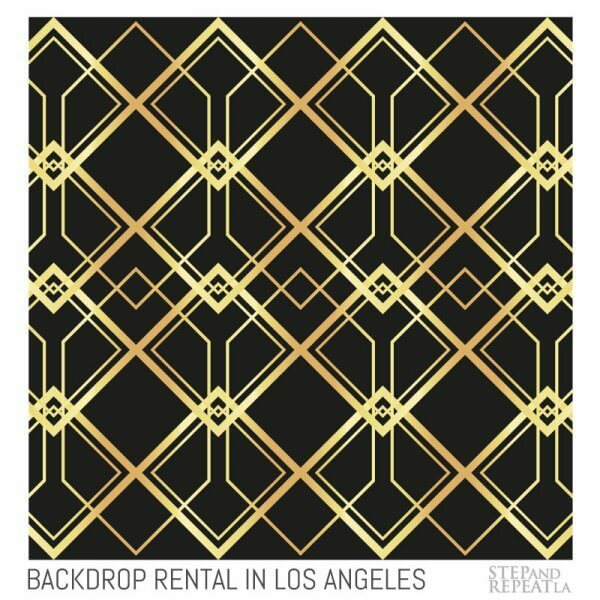 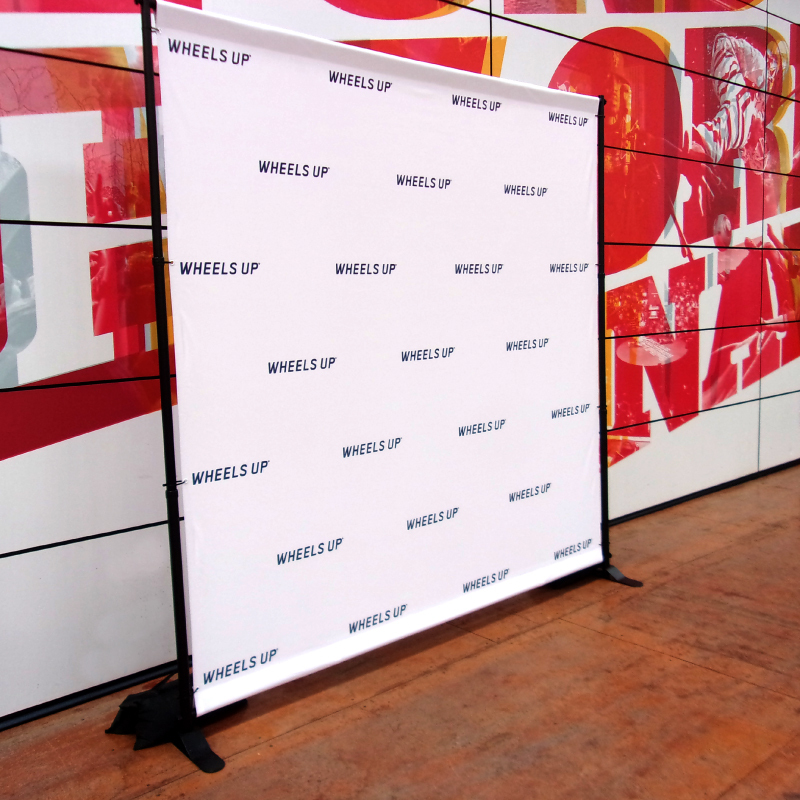 Stand rentals available for Los Angeles events. 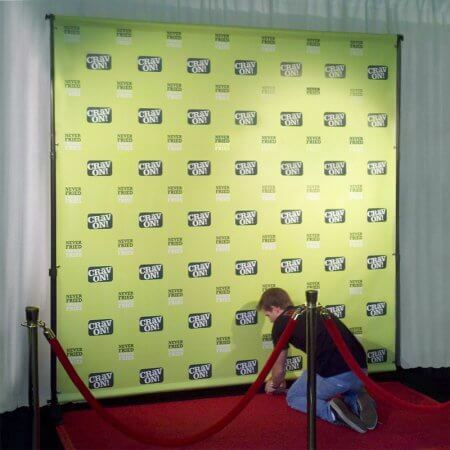 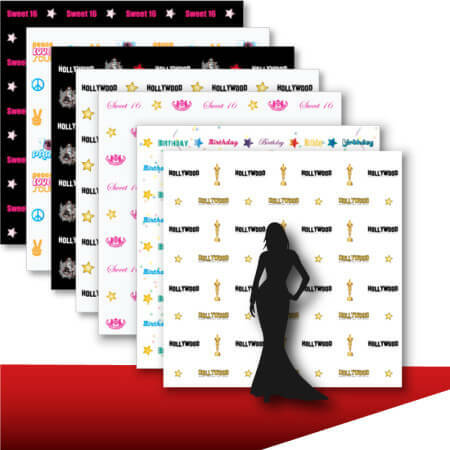 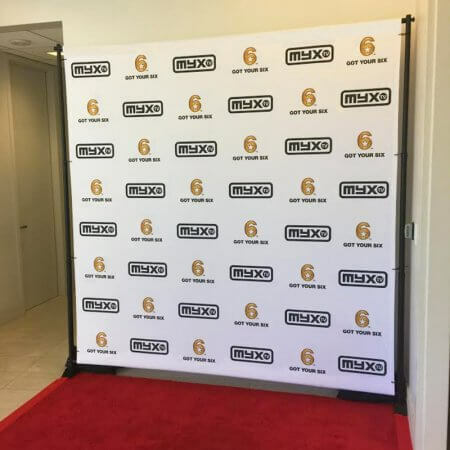 Choose the right size for your step and repeat banner. 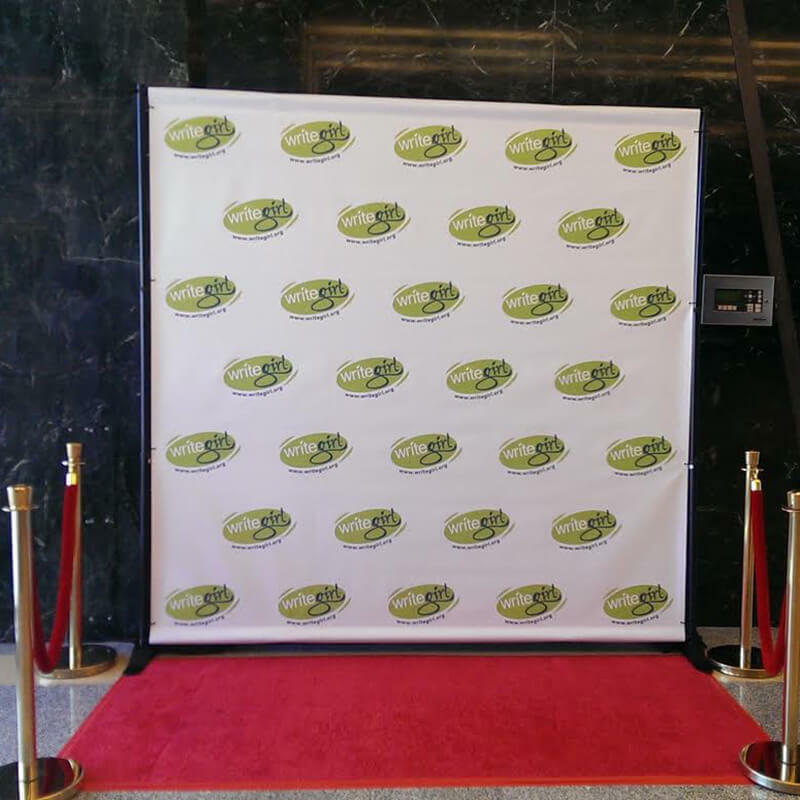 You can either pick up the stand from our location in Shadow Hills (10 min North of Burbank) or we can deliver it to you for an additional fee (you can select this option at checkout).